We are a Yuba City company that offers on-site computer repair and service. If you are having trouble with your PC, Internet connection, network or other computer problems, we can help. We specialize in on-site computer service including hardware diagnosis and repair, software troubleshooting / installation, operating system maintenance and other computer services. We install and troubleshoot operating systems, including Windows XP, Windows Vista, Windows 7, 8 and 10. We have experience and knowledge of all Microsoft Windows operating systems as well as PC hardware, including motherboards, memory/RAM upgrades, CD-ROM and DVD-ROM drives, video cards, hard drives, floppies, and much more. We do on-site house calls or remotes, 6 days a week (Monday - Saturday). 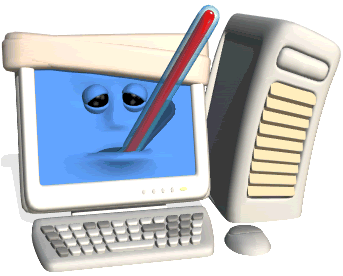 So if your PC needs service at any time, please call us at 530-218-7619. Hanson Computer Service has been working on PCs since 1978. We have been performing computer repair and computer service for Yuba City/Marysville area businesses and individuals since 1981. If you have any issue with your PC, we can help. We are courteous and professional and will solve your problem - guaranteed! If we can't fix it, you don't pay!